In our monthly newsletter, Wood News, we have several different columns that feature different woodworker’s Woodshop Designs, Wood Carvings, and Woodworking Projects. 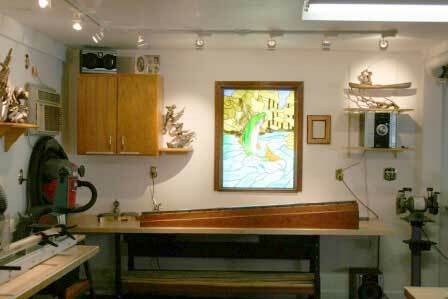 In April’s newsletter, we featured Bruce Herndon in our Show Us Your Shop column. We wanted to share a little more information about Bruce and his specialty shop. 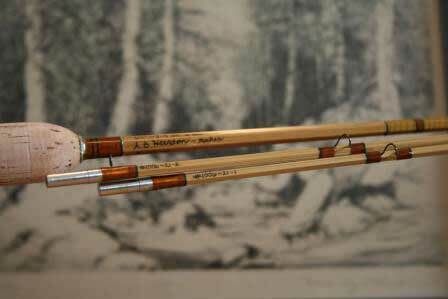 Bruce’s shop specializes in crafting custom split bamboo fly rods for fly fishing. His rods are not just for use in the sport of fly fishing, but they can also be presented as works of art. At the moment he is working on about 9 different rods at the same time (which you can see an example of above). Because of the construction process of the bamboo rods, his shop requires open and unobstructed space in order to have room for the different machinery as well as for the length of the rods that are being built. Corrected the lower corner by jacking it up and pouring a new slab of concrete. Rewired the shop for both 110 volt and 220 volt and installed over 20 wall outlets along the walls and in the ceiling. 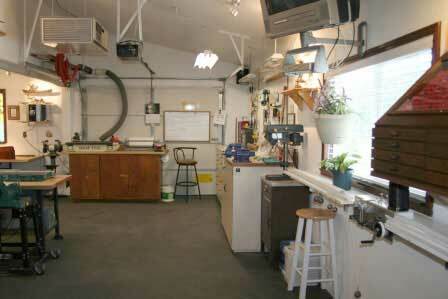 Added both the shops dust collection and compressed air system, located outside inside an attached carport. The two dust collectors are both 110v and 220v. Had 1/2 of the ceiling vaulted in order to better test-fit the bamboo fly rods. Built a loft for special dry storage of the 12′ culms of bamboo. There is enough space for approximately 175 culms of bamboo. The shop is heated with a pellet stove during the cold winter months that can be as cold as -20 degrees, and then cooled with an air conditioning system during the hot summer months that can reach to over 100 degrees. If you are interested in seeing more of Bruce’s works you can visit his website HERE.